During the Protective Edge operation a good friend came down to Sderot in spite of the operation and all his friends’ encouragement not to make the trip… He came anyway. The following store is his impression and experiences while here in Sderot. ‘Welcome to Sderot’ the road sign reads as I enter this battered Southern Israel city just before Shabbat. Within a few minutes of arriving, the screaming of an Iron Dome rocket being launched to intercept an incoming rocket from Gaza interrupts your heart beat. Then as the rocket gets intercepted and explodes just overhead one immediately understands this place is not your typical city! The first thing one notes is the erratic driving. Not because of an incompetence behind the wheel, but of the urgency to just get to ones destination where the safety of a bomb shelter beckons. Within 24 hours you have familiarized yourself with the 6 distinct sounds that permeate daily life in Sderot: Tzeva-Adom (Red Alert Siren) – Iron Dome launching – Rockets getting hit out of sky – Rockets hitting ground – Tanks firing into Gaza and birds singing. 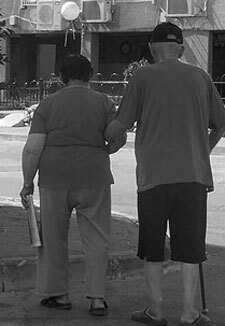 I notice an elderly gentleman with a walking cane moving about 100 meters an hour and wonder… “How many times he must have been close to a heart attack, knowing he would not be able to find protective cover in time anyway”? To be caught between the supermarket and home every day in the midst of an imminent incoming rocket, the horror of this potentially life ending situation is written all across his face. For the Beauty Salon’s there is not much work, neither do you see a younger generation cruising around town with loud music in a car that would drown out the ‘Tzeva Adom’ alerts! Here, an above average percentage of Sderot’s citizens carry the eyes of an over medicated people with a distant gaze wearily fixed upon the safety of their bomb shelter back home. The room I am staying in Sderot faces Gaza and as I lie in bed actually watching the Iron Dome launch from the comfort of my bed one starts to grasp, appreciate then applaud the resilience of Sderot’s population – How horrific life must have been like before Iron Dome? The last 9 years have indeed taken a toll no other civilized nation would allow their people to tolerate either..
6:00am in the morning I head for a shower and within two minutes the “Tzeva Adom” rocket siren warns of 15 seconds to get to the bomb shelter , that was the quickest shower ever! I then head outside for some air when again “Tzeva Adom, Tzeva Adom” warns once again of potential finalities. Faith starts to feel more precious than ever in this kind of environment – Wisdom still says ‘Get back to the bomb shelter Ian’! Sunday in Sderot was a blessing – Together with my friend Stewart, we took 14 Shwarma meals to the soldiers guarding the Iron Dome (and us) – While chatting with some of the soldiers one of them said “This is not going to end soon.” That’s truth for sure – even though a ceasefire was agreed I kinda get the sense this thing has not even really started yet! 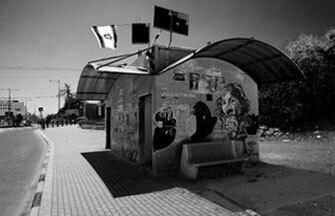 This is not my first time in Sderot – Back in August 2005 I came to demonstrate against Ariel Sharon’s (the then Prime Minister of Israel) Israeli disengagement from Gaza plan, also known as “Gaza expulsion.” About 1,700 families were uprooted along with all Israeli army personnel. The idea was that Gaza could become a ‘new Singapore’ for the Arabs to prosper (as the Jews did there). That plan backfired somewhat – Just 10 days after the last Jew had been removed the rockets started being fired (again) into Israel from Gaza – and have continued till this day. During ‘Operation Protective Edge’ the IDF did more than any other army in the world would do to protect civilians in enemy territory. Surgically targeting the source of incessant rocket attacks with a heart that values all life. Still, the world’s (obsessive) outrage against Israel came as little surprise – Past conflicts have always exposed the (ungodly) nature of a world all too ready to side against Israel. Help support those who have been injured by 16 years of Kassam rockets. 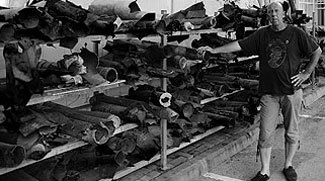 Hope For Sderot is a humanitarian aid organization helping those living in Sderot, Israel who are victims of terrorists kassam rocket attacks.